I'm doing a school project about cosplay. It's supposed to be a paper/ted talk formatted presentation, and we were allowed to chose our own topics. I decided to write mine about whether cosplay is becoming more popular, why people do it, and what it's affect is on geek culture or vice versa. To do this, I'm going to need your help! Why did you begin to cosplay? 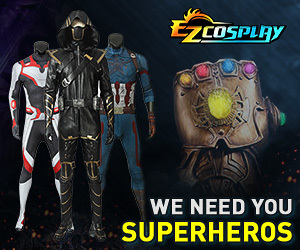 Have you noticed an influx of cosplayers, and why do you think that is? Has cosplay ever done anything for you (ie. Mental benefits, monetary awards, leading you to a career choice, etc.)? You could either respond to those here, or take a video of yourself answering these questions (In or out of cosplay) and send it to [email][email protected][/email] so I can make a video for my class. The video will be posted here when it's done so you can see, and will have your handle names in it for credit (: I'd prefer a video, but if you just give text responses that's okay too, but every answer helps!